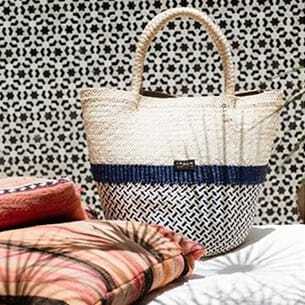 If you are looking for luxury beach accessories, you will find everything you need right here! We carry a variety of luxury beach accessories, from stylish flip flops and hats to elegant jewelry. We also carry the finest swimwear from luxury brands. Our swimwear and accessories are designed for resorts, cruises, yachts and private beach. You will find stylish swimwear from only the top-notch brands, including DESPI, VIX, Havaianas Luxe, Agua de Coco and Lenny Swimwear. Whether you are going on a cruise or spending the day on a private beach, you will look sophisticated from head to toe in our luxury beach accessories.